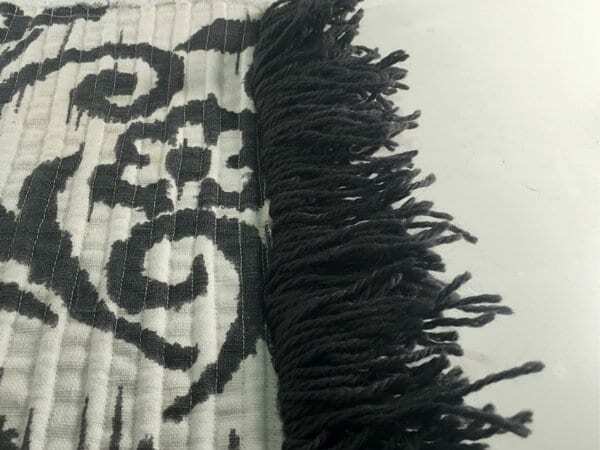 This fringe bath mat is large and easy to dry, but attractive to change a bathroom that might otherwise look boring. It will also help keep the floor dry and safe for all. This bath mat uses canvas fabric for strength, non-slip and easy drying along with cotton cord threaded through the mat for extra strength and texture. The mat has an attractive shaggy fringe. It was a lot of fun to make and is really functional and attractive. There’s also a fair bit of sewing to do, so it is good practice for the beginners.